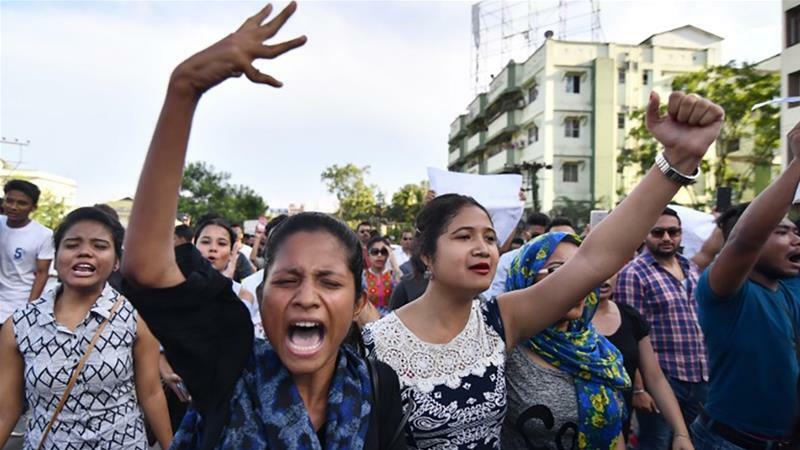 Guwahati, India – Police in the Indian state of Assam have arrested at least 18 people in connection with the lynching of two youths following rumours on social media and WhatsApp that they were child traffickers. “We have taken strict measures against the culprits and arrested 18 individuals. We have also arrested some persons who were involved in spreading rumours on social media,” Director General of Assam Police (DGP) Kuladhar Saikia told Al Jazeera.